A virtual private server or VPS hosting divides a server into virtual servers, where each websites is like hosted on their own dedicated server, but they’re actually sharing a server with a few different other users. The users may have root access to their own virtual space and better secured hosting environment with this type of hosting. Websites that need greater control at the server level, but don’t want to invest in a dedicated server. VPS hosting is a newer form of web hosting, VPS seeks to combine few of the attractive features offered by dedicated hosting with the affordability provided by shared hosting. VPS hosting can be a great move if you are starting off with a resource intensive website that may need additional resources to function smoothly. Virtual dedicated hosting can also be a perfect upgrade if the resources being offered by shared hosting are not sufficient to keep your website going without any glitches. This type of hosting provides more control over the assigned resources and better security at a significantly lower cost. A hybrid of shared hosting and dedicated hosting, it supports higher online traffic and more control like dedicated server but only at a fraction of the cost of dedicated hosting. Users are given super level access to these servers, and each VPS gets its own copy of operating system along with resources like bandwidth, RAM, storage space, etc. Account holders have the freedom to install and run all the software and applications that the chosen OS supports. Each account holder in a virtual private server environment gets a unique IP address and remains completely isolated from what others are doing on the same server. There also fewer security issues with VPS hosting. Virtual private server accounts unlike shared hosting come with own unique IP addresses, and the virtualization layer means that you remain completely affected by any problems arising on other sites. The actuality that you remain completely separate from other account holders residing on the same server is one of the best features of virtual dedicated server hosting. You have your own dedicated set of resources assigned to your own hosting account ensuring that your website continues to perform at its optimum level despite extra resource consumption by other websites. This invariably leads to better security, more control, high levels of uptime and faster loading speed for your website. Virtual private server offers control and security of dedicated hosting without the high cost associated with it. You only need to ensure that you have a quality and reputable service provider by our side who never fails to provide the resources that has been promised to you. Cloud Hosting has become extremely important now days and one of the major internet invention of the decade. The reason behind its importance is server uptime guarantee. For ex. We can consider Google.com. From my experience of last 8 years, we have never faced such a situation that Google.com is down and it’s not working. This is a rare condition from everyone’s experience point of view. Now let’s see how cloud servers are setup and what makes them run for such a long time without any issues as compared to our normal physical servers. Cloud servers are setup on clusters base. Due to this if in case any of the cloud clusters goes down then other cloud cluster takes the charge and we do not have to face any downtime. The same thing happens in case if the cloud server gets overloaded with major amount of requests. After seeing Cloud working, we will see various benefits of Cloud Hosting. Cloud servers can be accessed through internet from any part of the world. Cloud servers use VMware virtualization techniques to create virtual servers. Cloud servers are most reliable, scalable, affordable, flexible, secured for small, medium and large businesses. 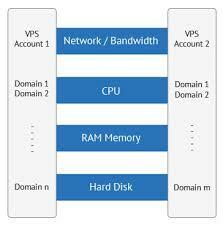 Cloud VPS servers are getting more popular now by days as they available at affordable prices. With Cloud servers, in order to upgrade hardware like RAM, we do not have to reboot the servers as auto-scalable RAM is available as per website traffic. Cloud Hosting is becoming more important now days seeing the importance from uptime as well as business point of view. Cloud hosting will be the need of future and has long way to go. As mentioned above regarding Cloud SSD VPS are getting more famous. Customers are getting more benefits with Cloud SSD VPS. Solid-State-Drive (SSD) VPS utilizes SSD drives which are 5 times more faster than normal drives and helps to increase server speed with less chances of disk failure. Cloud platform provides reliable, scalable and 100% uptime guarantee. Many large organizations have already transferred their data to Cloud Hosting platform. In past few years as the competition is increasing among major ISP’s and this has adversely affected prices for cloud hosting. Due to, a lot of cost cutting on Cloud hosting, mid level businesses have also migrated to Cloud platform. Small businesses or organization also have chance to improvise their own business by shifting their gear towards Cloud servers. Seeing benefits of Cloud Hosting, it looks like Cloud infrastructure will become fixed web servers in coming years. uptime guarantee but still it’s very important as a customer to view Service Level Agreement (SLA) carefully before signing up with any Cloud Hosting service provider. SLA contains various terms and customers should understand each and every term and what exact solutions they are providing in case some issues occur. SLA, doesn’t provide uptime guarantee. However, hosting providers will remunerate in case if customers are facing downtime. Service Level Agreement varies from company to company. So it’s good have knowledge about SLA of companies customers are willing to sign up. Customer’s needs to think about various company SLA’s and decide which company would be better in case of any difficulty and their SLA can give confidence. At last, I would like to mention here that customers need to think about Cloud platform. Considering competition in every field and in businesses, everyone needs to provide something different and new features to Clients. Cloud Hosting would be a good change. Making a recommendation for a VPS web hosting provider not only provides an extra resource for your website visitors, but can earn your some very generous commissions. You have got nothing to loose from trying.